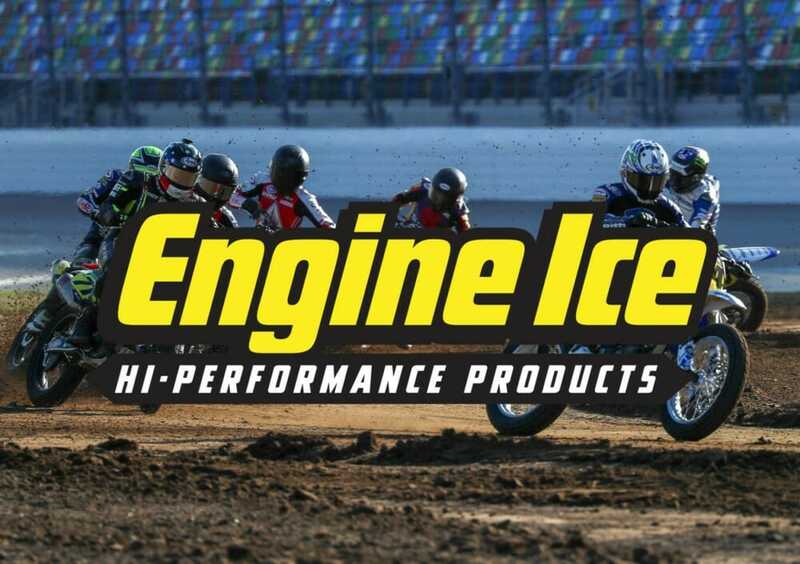 Daytona Beach, FL (March 19, 2019) – American Flat Track is pleased to announce the newest member to its family of partners – Engine Ice – as the Official Coolant and Antifreeze of American Flat Track. In 2019 Engine Ice’s family of products has expanded to include Plastic Shine and Helmet Renew. Safe for use on a wide variety of surfaces including most plastics and metals, Plastic Shine is the solution to maintain and restore a glossy, brilliant shine to all injected molded plastic fenders and bodywork. Helmet Renew Hi-Performance Helmet Care safely removes the causes of foul odors within helmet liner and padding. Its fast-acting, foaming action lifts the dirt and grime leaving behind a cleaner, fresher helmet. Click here for all the latest Flat Track racing news.